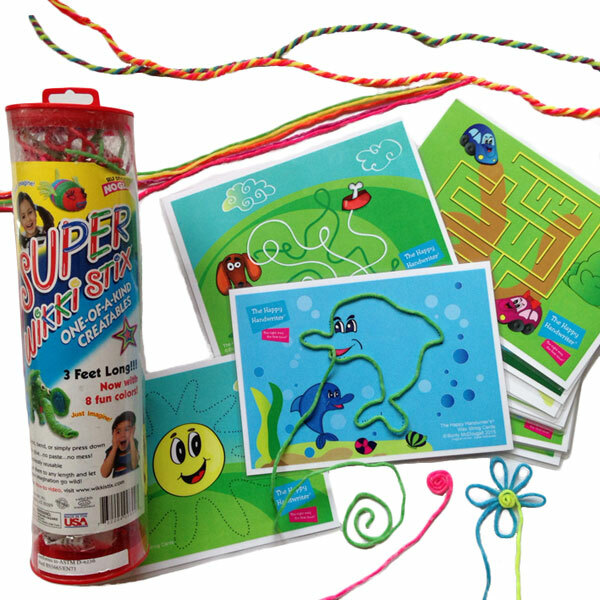 Super Wikki Stix are everyone’s favourite! They are lengths of wool covered in non-toxic wax. They are mouldable, stick together, require high levels of manipulatory skills and to top it all, they are reusable! The super Wikkis in our pack are just short of a metre long. The extra length allows for complex building and manipulation. No more building a letter or number only to run out before you reach the end! 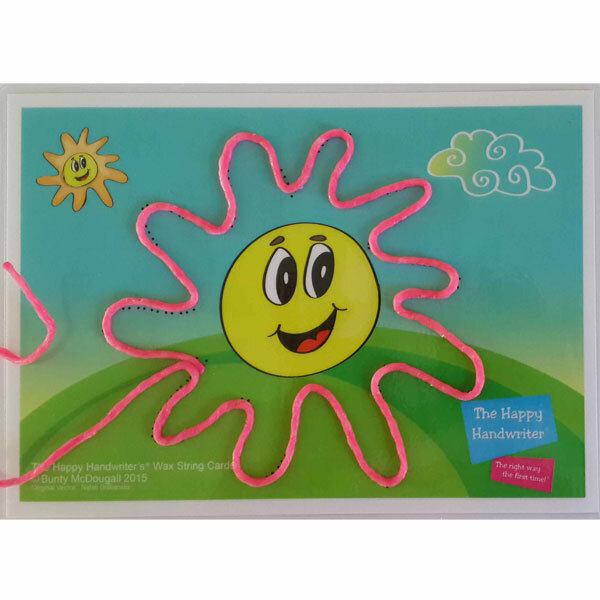 When it comes to Wikki Stix, your imagination is the limit. Children love the free play aspect; they can be wound into spirals, around pencils and manipulated into whatever shape you can dream of. 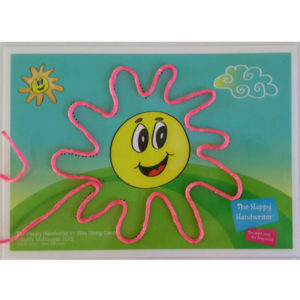 They are such fun that both children and adults can’t stop playing, and the more they play, the more they develop their fine motor skills. When it comes to using them on our laminated Activity Cards or any shiny surface, the sky is the limit. 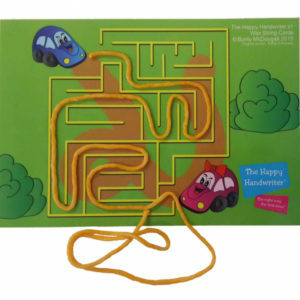 Stick your Wikki to the surface and follow the path of the mazes, complete a dot-to-dot, or outline the dolphin. Sticking them on the Activity Cards requires both hands to work together. 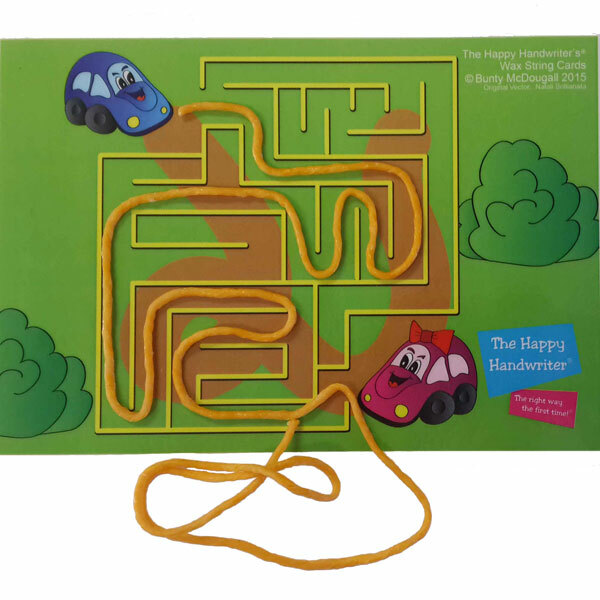 High levels of manipulatory skills are needed to turn the corners and follow the paths. Our pack consists of 12 laminated reusable cards that can be wiped with a dry cloth if they become sticky.